It’s been about two months since I first started brewing my own kombucha, and I’m happy to report that my love for this slightly vinegary beverage is still going strong! It’s become a daily habit (in between the mojitos and margaritas) and the process of making my own as opposed to buying a bottle is oddly satisfying. I may not have the space to grow my own fruits and veggies, but I’ve successfully turned the top shelf of my pantry into a little kombucha-making haven. It’s fun! I’ve learned a lot about the brewing process over the weeks – how long it takes to get just the right amount of tartness (about a week for me), how to increase carbonation (add fruit and fill the bottles to the very top) – and I’ve also learned that the resulting kombucha is different depending on which SCOBY you use to brew it. I had initially been using a SCOBY that I grew from a plain bottle of GT Kombucha, and referencing a site I found on Google called Kombucha Kamp to learn more about the process. Hannah, who is the kombucha guru behind the site, reached out to me after reading my how-to post to let me know that growing your own SCOBY is more difficult than it used to be in the past. 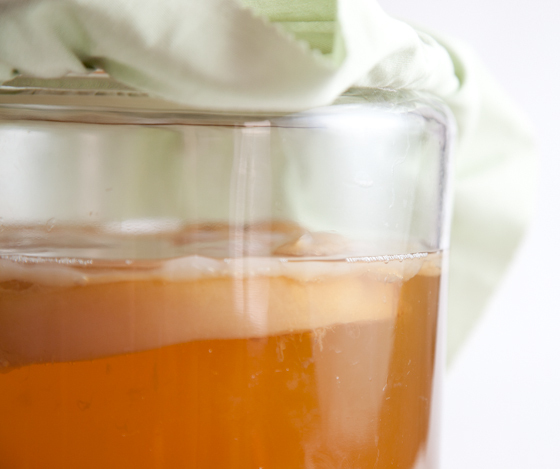 Now that the commercially available kombucha teas have been reformulated (due to alcohol content), and many of them contain probiotic supplements, the SCOBYs that you can grow from them often produce a weaker kombucha. It hadn’t even occurred to me that this would be a potential issue, but it does make sense. 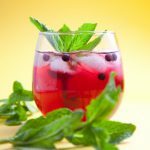 I’d been fairly happy with the kombucha I was brewing on my own, but I also realized that I was a total beginner – how would I know if I was drinking a weaker tea? I asked Hannah if I could try brewing with one of her SCOBYs, and she went above and beyond and sent me an entire Brew Now Kit with a kombucha mother, starting liquid, loose leaf tea, sugar, hibiscus flavoring, and a PDF for a super comprehensive handbook. Seriously, it’s more than 100 pages. I didn’t even realize there was that much information to know. I received the kit two days later, and immediately got to work making my first batch. One thing I noticed right away is that the SCOBY she sent was extremely thick. And oddly enough, it was not nearly as jelly-fish like and gross as the one I had made myself. Aaron had pretty much refused to taste the kombucha I was making on my own, but he was much less hesitant to try it when I switched to a less scary SCOBY. Apparently appearances matter, even when it comes to tea. Much less of those unappetizing yeast strands in the finished tea. Significantly more carbonation – the new SCOBY that formed at the top of the jar had lots of air bubbles, and the tea was fizzy instead of flat. Shorter brewing time by 2-3 days, which I would assume is because the SCOBY has had more than a month to grow. Stronger taste. It’s difficult to put it into words, but there’s a noticeable taste difference (for the better). I was kind of secretly hoping that my homemade SCOBY would put the purchased one to shame, but I took one sip and had to wave the white flag. Hannah’s on to something with her kombucha. Would you like to give it a try for yourself? Hannah has generously offered to give away a $50 gift certificate to her store, enough for your own Brew Now Kit, complete with everything you need to get started (aside from a glass jar and some water)! Or use it on organic loose leaf teas, a heater for your kombucha, or to put towards one of her Continuous Brewers (I have my eye on one of those). 1. Mandatory: leave a comment telling me whether you’ve tried kombucha before, your favorite flavor, anything you like! 2. Additional Entry: tweet about the giveaway – “I entered the @kombuchakamp giveaway @picklesnhoney is hosting! bit.ly/Ot38O5”. 3. Additional Entry: “like” the Kombucha Kamp Facebook page. The giveaway is open to US residents only. I’ll randomly choose a winner Friday, June 22 at 12pm EST. P.S. I highly recommend downloading her DIY Kombucha Recipe Guide. It’s free, and even experienced kombucha brewers can benefit from the recipes, tips, and reminders. ETA: The giveaway is now closed. Congrats to Carrie S! Filed Under: Drinks, Kombucha, Reviews & Giveaways COPYRIGHT © 2019 Amanda Maguire. All Rights Reserved. I’ve been a huge kombucha fan ever since I tried it at my campus co-op in college. I just went to Asheville last weekend and tried the local Buchi brand Kombucha. The Fire flavor is out of control amazing. They put cayenne pepper in it, and the spiciness plus the kombucha kick is so awesome. They only sell in NC, so I’ve been thinking the past few days about trying to brew my own version of it. That flavor sounds incredible – I’ll have to try adding some cayenne pepper! Also, Asheville has such amazing vegetarian/vegan food. I visited a few years ago and still dream about some of the meals I had there. That’s really cool that Asheville has a kombucha bar. I visited once a while back and the foodie scene was so awesome there. I’ve never tried Kombucha before! This post was very informative, so I’ll probably look into it now. I doubt I’ll be making my own for a while though, it looks intimidating! I promise you it’s not complicated, especially if you buy a SCOBY/starter kit. You basically make a big batch of tea, add some sugar, starter liquid, and the SCOBY, and let it do its thing for a week or so. Super low maintenance! you know, i used to drink gt kombucha every.single.day. for 3 years. but that was before i was married, living with my parents, and they picked up the bill. but, it’s just too darn pricy for me. i’ve had it on occasion since then, but only when there’s been a ridiculous sale. I’ve never tried it before but would love to! I actually looked in to making this once when I became addicted to GT’s Mango Kombucha, but I think my attention span didn’t allow me to follow through. 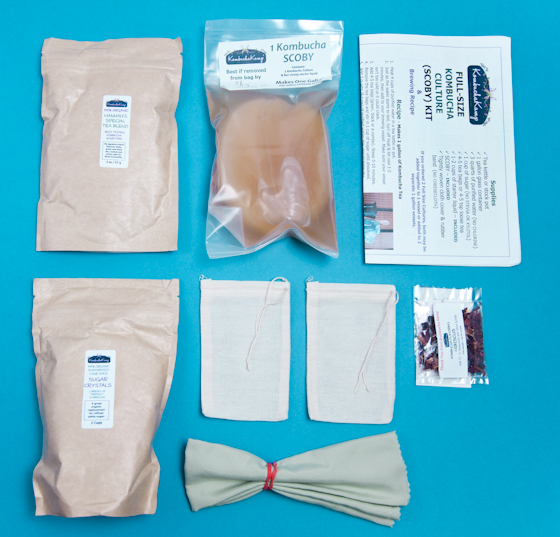 The Kombucha Kamp Kit looks like even I could make it. Thanks for sharing! I love the GT Mango flavor! That, and the strawberry are my favorites. I have been making kombucha for over 4 years! LOVE it and especially love using a portion of jasmine green tea in each batch. I brew 4 gallons at a time since my kiddos and hubby enjoy it too! I’ve made komucha at home and my favorite flavor was ginger! Little slivers of ginger root add amazing flavor! Sadly, My SCOBY got fruit flies and had to be tossed out and I haven’t brewed since. So I could use a new one! I miss it! Bummer about the fruit flies! I was actually using a little kombucha with some dish soap added to it earlier this week to catch a few fruit flies near my fruit bowl – worked like a charm! That does work well! I even had my kombucha covered in a closed cabinet. It was so sad. I guess it wasn’t covered enough! I brew my Kombucha, as well, and I use a SCOBY produce from a bottle of GTs. I love my Kombucha and have gotten several nay-sayers addicted. I would love to try brewing up a legit batch with one of Hannah’s SCOBYs! I already “Like” Kombucha Kamp on FB! Who could not! Ooooh, pear sounds so good! There is a Puget Sound Consumer Co-op up by my house that sells kombucha on tap so it’s cold and refreshing and less expensive than the bottled ones. They serve Mango Guava and Grapefruit Sage. Both are delicious and I’ve been hooked on buying one almost everyday; so now I’m seriously considering making it at home to save on expense and experiment with new flavors. 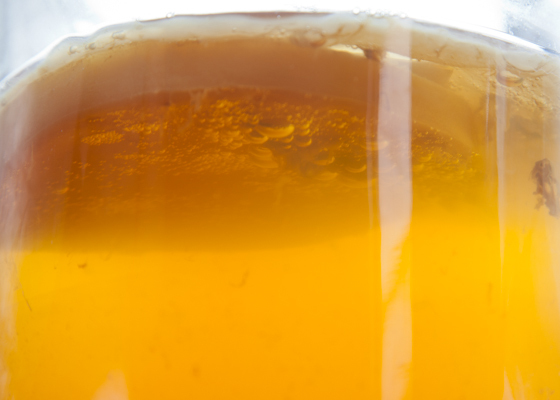 Your photo of the kombucha looks beautiful and inviting. Thanks for sharing! I like Buchi blood orange flavor…yum! I would love to have a KK scoby! I started my own as well but it was just before the reformulation and I’ve been trying to save up for one of Hannah’s. Hannah’s SOBYs are awesome – I’ve been so impressed with her products and she’s great about answering questions. tweeted about the give away (@sbkwright). Thanks for the chance to win! My cultures have lots of yeasties, so I am curious about that part. I’ve been using a scoby I swapped for from a fellow homesteader here, but would love to try one of Hannah’s to compare the same way! And liked the Kombucha Kamp fb page! I want to win! Have you tried making it with part coffee part tea yet? I haven’t, but that sounds really interesting! My husband would be all over that. I had an extra crock used in the continuous brewing method so I ordered the start-up kit from Hannah. It is super easy and I am now brewing the best kombucha I’ve ever tasted! My family and friends agree. I use the special tea blend that Hannah creates, along with organic cane sugar and distilled water. I’ve been making my own Kombucha for a little while. Like you I have a home made scoby after my first scoby, which a friend had given me, developed problems and I had to chuck it. I was thrilled when my scoby actually developed, but now that I’ve read this, I definitely want to try one of these kits. My kombucha tastes good, but I have a feeling I am really not doing it right. I haven’t tried flavoring it yet, but one day I hope to find a very simple way to do that. Thanks for the opportunity to win this awesome prize!!! My favorite kombucha is when I bottle it with fresh squeezed lemon juice, a few pieces of lemon rind, and fresh lemon thyme from the garden. OMG, it is amazing! Wow, I have to try that, sounds awesome Diane!!! Already LIKED Kombucha Kamp on FB….her site is my Kombucha Bible and got me started on making my own. Now, I’m into brewing strong herbal tea (Celestial Seasonings Tangerine Zinger is my fav), mixing it with fresh unflavored kombucha and then adding some sparkling water for extra fizz and a little liquid stevia for sweetness…I do not miss soda anymore, this is so good! i recently started making my own and grape is my favorite flavor so far. 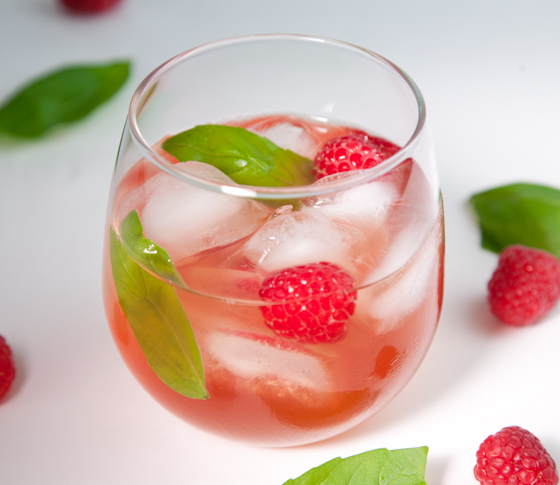 i “like” the kombucha kamp page! I have been drinking kombucha for a couple of months now. I would LOVE for my scobies to look like that! I’ve seen the chia seed ones but have yet to try them. And vanilla rootbeer?! Wow, that sounds good. I’ve been drinking komucha almost a year now and love it; favorite flavor is cranberry. I am being challenged at the moment trying to get a scoby going so it would be great to win a kit. thanks for all your education! I have “liked” your FB page for a while now. I love kombucha! I have been wanting to learn how to make it. Its just too expensive to keep buying the GT’s. I love all the flavors. I would love to have a continuous brew at home! My first attempt at making kombucha was a failure. 🙁 The scoby was given to me by a friend who had grown her own. I would LOVE to try again with a nice healthy KK scoby!! I have been CB for over a year now!! My favorite is ginger grape. I use a combination of teas when I brew usually 2 green and 2 black. Comes out great. I love kombucha. Well, store-bought right now. I still can not get my homemade to turn out right. Extremely thin baby that takes a long time to form. Going to read that pamphlet and see what might be going wrong. I adore Synergy kombucha (Trilogy flavor!) but it is an expensive habit. I’ve always been curious about brewing my own but have been too nervous… this would be a great way to start. Thanks for the info! I am a big fan of Kombucha Kamp and will now follow Amanda at Pickles ‘n Honey. Would love a new SCOBY as mine are weak 🙂 Good luck everyone! Hi! I just bought a SCOBY from Hannah a few weeks ago, and I’m on my 3rd batch. It is so delicious, and her customer support is fantastic. 🙂 It’s so much easier and less intimidating than you’d think! Thanks for sharing your experience! Thanks for your comment, Angie! 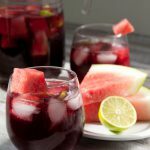 I’m obsessed with Kombucha and learning to make it is on my summer bucket list! If I actually got a kit- I’d do it! What the heck am I waiting for? …annnnd liked on Facebook. Regardless of if I win, I think you’ll definitely sold me on getting a kit! I love Kombucha and became a brewer on Dec 24th 2011, it just gets better and better. My boyfriend and I went to Vegas and had to purchase it at the store, it was quite good but he said he prefers my homemade because it’s so much better. I began the 2nd fermentation with my first batch. Using fresh pureed fruit and it’s fabulous everytime! Strawberry, peaches, mango, cherry juice, mixed berries and just did pineapple and peach, it was fabulous! More and more of my friends are trying it and loving it. I’ve been following Hannah’s site and instructions from the start!! Love Kombucha Kamp! Happy brewing Amanda! That sounds like a great Father’s Day gift. 🙂 I really like the Brew Now Kit because as someone who’s still fairly new to home-brewing, it takes so much of the guesswork out. No need to worry about whether I have a bad SCOBY, weak starter liquid, etc. I love GT’s plain or citrus flavor. I can’t drink black tea, so I was planning to start making it on my own and try to emulate the GT style. KK looks like the resource I’ve been looking for. Thanks! I have only tried store bought and can’t get my family to get beyond that very first taste they tried! I like fruity flavors!! I just found out about Kombucha and want to start brewing my own. I have been drinking kombucha for at least a decade, but only recently began brewing my own. I love Hannah’s site and would LOVE to win this! Thank you! I haven’t try it yet. Made my first brew, which was finished the day I started “Chemo”May 4…was told not to drink homemade anything. I will finish chemo July 20th. Looking forward to trying it. Would love to win a starter kit…my scoby had mold when I tried to get the second batch started. Then I found Kombucha Kamp on Facebook….I have been following it. I haven’t tried Komucha, yet! Hoping to get the Brew Now kit from KK for my birthday in a few days, so excited to get started! I used to make my own Kombucha (about 15 years ago – oy) but somehow got out of it. I started drinking it again shortly before the ban – used to love GT’s raspberry but they don’t seem to make it anymore. I can’t really afford it too often at more than $4 a bottle so I tried growing my own but it doesn’t seem to be working! I already like Kombucha Kamp on Facebook! I have never tried kombucha before and I think it would be fun to try it! I work for a grocery store and one of my co-workers pointed out a brand that we recently started selling. Initially, as many others, the vinegar smell made me hesitant, but I was much surprised when I tried it. The group of us cashiers (who also take exercise classes together a few days a week) got on a huge Kombucha Kick and started telling all of our customers about it! It’s been a few weeks, and now our store goes out of stock very frequently due to the newfound craze for the drink, and we now carry 12 different flavors! but this new post is inspiring me to keep going. 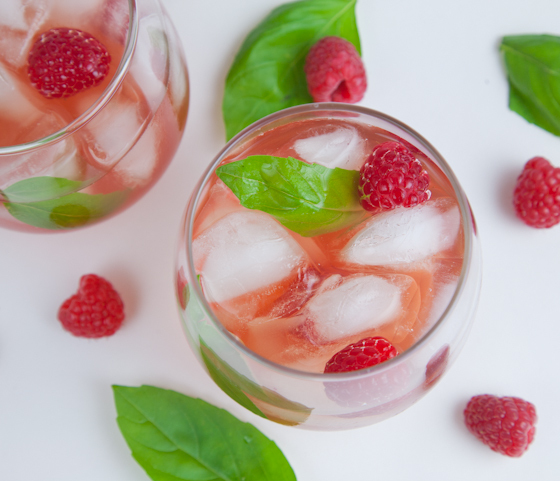 i am a fan of gingerade from GT’s, but i would love to learn how to make my own. my roommate says i’m a “control-freak” that way…i say “scientist”? regardless, thanks for the post, a lot more options to check out the process!!! I love Kombucha! I really enjoy ginger and berry flavors! I have been trying to grow my own but I am thinking about throwing in the flag and buying one. My favorite kombucha I’ve ever had was orange pineapple ginger, that I bought from a vendor at the Bethlehem PA vegfest. This is awesome! I’ve really wanted to make my own Kombucha for some time now. Thanks for sharing. My favorite flavor so far is orange peel, ginger, and cloves. I was reading your post the other day about growing your own Scoby and I was super intimated (though interested!) so I’d love to eliminate that step and get a starter kit! Great giveaway! Thanks, Shannon! Yes, the starter kit makes it basically fool-proof to start brewing your own. I liked Kombucha Kamp on facebook! I love kombucha! Anything with ginger is always my favorite. I’ve been wanting to start making my own for a while but haven’t known where to start. So happy to see your post! that sounds so delicious and refreshing! love that color!! gorgeous! thanks for sharing! I love kombucha and spend way too much money on it!! I just recently discover Kombucha by trying GT’s. My favorite flavor is Cherry Chia. I have made a SCOBY, but I’m now wondering if the Kombucha Kamp SCOBY might be better. I would love to be entered in the drawing so I could put the certificate toward the purchase at KK. My children and their partners are now all asking for Kombucha. I tried kombucha a few months ago, bought it at our local Wegmans. It was GT. At first I thought it tasted horrible but then I tried it again and to my surprise I liked it. It is totally addicting! I probably buy it at least once a week but would love to drink it more, soooo, I am totally interested in learning to brew it myself! I love green komboucha! I’ve made my own yogurt, but have yet to venture into this endeavour. A kit would be a great place to start! What a wonderful prize! I’ve really enjoyed Kombucha ever since I tried it last year. I’ve been wanting to brew my own for months, but have been hesitant. I really like the GT Guava Goddess. i loooooove the mango synergy kombucha (GT), but you’re totally right- home-brewed is so much better. i’ve had some from the local co-op and it’s like a whole new world! exaggeration, but only slightly. home-brewed, my favorite is ginger (so balancing), with blueberry cinnamon as a close second. I will have to try blueberry cinnamon! Yum, kombucha! I’ve had it a few times before. The flavor I’m always going back for is guava, nice and sweet but that sour that I love in the kombucha. I’ve been meaning to start making my own but haven’t gotten around to it yet, partly because of my failures in making kefir a few summers ago! I just started getting into kombucha! I had never tried it before and decided to go for GTs Gingerade as a replacement for ginger ale – way too much sugar in ginger ale! – and I’m HOOKED. I found your blog looking for instructions on how to grow my own SCOBY. That’s awesome that you swapped ginger ale for kombucha! I recently made some ginger kombucha (just throw in a chunk of fresh ginger when you bottle it) – it was really good! Currently growing kefir in our home and making some amazing flavors but would love to mix it up with some homemade kombucha. 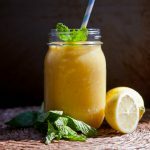 My favorite store bought kombucha is Citrus but homemade I would assume passionfruit or cherry would rival the homemade kefir flavors that are the favorite in our home! As a college student, the cost of ready-made bottled kombucha makes it a bit prohibitive, but so far the one and only flavor I’ve tried (much to my liking) was GT’s Gingeraide. If I win the contest, I’ll be well on my way to making a better, more affordable alternative drink that will keep me healthy. What’s there not to be excited about? I’ve had store bought kombucha. I’ve been curious about making my own, but haven’t gotten the nerve to do it. lol! I love strawberry kombucha. I have made my own, and noticed a difference between the SCOBY I grew myself with GT before and after they had to reformulate, but somehow I hadn’t made the connection before. That’s very good to know. Yeah, it hadn’t really occurred to me either, but it makes total sense that the SCOBY would be different. I haven’t seen GT Grape either. It sounds really good though! I drink the stuff 2-3 times a week. This week, my favorite has been Buddah’s Brew….. Honeydew Melon. Cranberry’s pretty good too!! Love supporting a local company – made in Austin, TX!! I’ve heard great things about Buddha’s Brew! Already like K Kamp on FB. I’ve only had kombucha once & it was a brand from Santa Cruz. It was okay. I’ve actually never tried kombucha before….I’ve wanted to ever since it started getting super popular, but to be honest I’m a little scared! I have been making my own Kombucha for almost 6 months. My husband and oldest son love it the most. I need to water mine down because I am just a water drinker by nature and don’t particularly love carbonation or sugar. I watched an online video with Hannah and another gal (I just suddenly forgot who!! ), and fell in love with Hannah’s spirit! I wish we were next-door neighbors–LOL! I had NO idea SCOBYs varied so much–really! I received my original mother from a friend, and have passed on babies to other friends. What I have noticed is that we each do something different–probably even the difference of yeasts in our homes, maybe even our own personalities (I am uptight–could that affect my SCOBY? LOL!). But it never occured to be that all SCOBYs are not “created the same”. I’d love to win this and try hers out–admittedly, I am kind of “financially challenged” right now (have to buy home school materials for fall!) and cannot really afford it. I have grown my own SCOBY from GT’s also, and I thought I was doing a great job, but I am so interested in doing the test. Especially because I am turning people onto kombucha for its healing properties, and have been giving SCOBYs away. If it’s not doing it’s job right, people will not believe in kombucha like I do!! I have been “liking” kombucha kamp’s fb page for a few months now, and I love the emails she sends out. Very informative and entertaining! The giveaway is over but I just linked here from Kombuch Kamp’s facebook post. I see a comment or 2 about being scared to try making your own and I say “Just jump in!! !” I was pretty nervous too and decided that I really didn’t have anything to lose so I just did it. I got my scoby from a local guy off freecycle and it produces very fizzy tea in about 5 days… dunno if he grew it himself or purchased it though. My first batch was AWFUL! I totally forgot to write down when I started it and ended up letting it go for about 3 weeks! Yeesh! Every batch since then has been fantastic on a 5 day plan. I also have to say that the GT grape is the best kombucha I’ve ever tasted though… including my own! I think you are so right on about the reformulated kombucha! I have noticed that after about 6 months of brewing my kombucha, it has become very strong. I can get a nice batch in 3-4 days. However, I think I am going to try ordering a Scoby from Kombucha Kamp to see if the results are any different. I’d be very interested to hear whether you also notice a difference with the Kombucha Kamp scoby compared to one grown from the GT kombucha! I bought a reptile heater from Amazon for about $20. It works really good for winter brewing. I insulate the heater with an old paper grocery back so the heater does not make direct contact with my brewing vessels. It has a built in thermostat that keeps it about 10-15 degrees Fahrenheit warmer than ambient room temperature. My condo is about 60 degrees in the winter, so this method works great. BTW. I really enjoyed your story on how you went to full time blogging and writing. Writing about our passions are wonderful! We recently started making sourdough bread. We got the culture from Azure Standard in Oregon. You can easily make your own when the weather is warm. The bread is so good. I think because I live in the Bay Area, my sourdough has a nicer sourdough profile than just about anywhere in the country. Looks like we have lots to share in the comments area. My wife and I love to write and comment on food blogs. Thanks for the heater suggestion, Mark! I think my apartment is probably about 60 degrees too. I have tried it a couple of times and fell in love. I am currently brewing homemade, but not with a mother. Would love to try. Hi Raydell! I highly recommend purchasing a scoby from Kombucha Kamp if you’re interested! I had my first store bought kombucha a week ago and I loved it. I have many ailments that I was hoping this would help with and I do feel better in the little amount of time I have used it, but it is so expensive. I also wonder how much better I would feel with the full strength homemade version. I would love to start making my own! Homemade is definitely the way to go to save money! It’s very cheap to brew at home. As you can see in my posts, I recommend the Brew Now Kit from Kombucha Kamp as a good starting point (you just need a big glass jar to go with it!). Let me know if you end up making your own kombucha. I’m happy to answer any questions!